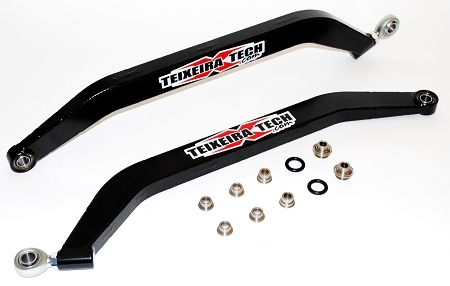 The Teixeira Tech Polaris RZR XP 1000 Stock Replacement XGC (X-treme Ground Clearance) Lower Radius Rod Kit has been engineered with x-treme ground clearance and durability in mind. Teixeira Tech Radius rods are constructed with quality welded 4130 Chromoly in a precision built jig and topped off with a powder coat finish for the upmost in fitment, durability, and performance. Polaris Black is our standard color. Custom Colors may take up to 5 additional business days.